“Refugees coming to Greece: Is that still happening?" It is a question many of us hear when talking to friends, family, or even the media. The answer in short: absolutely. The last few weeks on Lesvos have been extraordinarily busy for our team: both on land and at sea. So far in 2018, the number of arrivals is up 200 percent in comparison to the same period last year. In the first few weeks of May alone, our team have assisted a total of 514 people. We have also experienced a resurgence in boats crossing during daylight hours. And while we have been busy in the transit camp distributing dry clothes and tea to new arrivals, our nimble rescue boat Mo Chara remains central to operations on the North Shore, with the crew launching on multiple occasions to assist people crossing this stretch of the Aegean. From rock rescues to retrieving people from a smuggler drop, from guiding dinghies through treacherous rocks, to transferring people into Skala port, the crew has been working tirelessly to ensure safe passage. We have even had our team swimming to bring those stranded on otherwise inaccessible areas of the coast to safety. When seven more lives were lost in the Aegean on the night of Monday 18th, however, we were served with a stark reminder that people are still dying as a result of Europe’s border regime. The tragedy occurred when a fibreglass boat that had been attempting to cross the Greco-Turkish border sank. 13 survivors were pulled from the water, but two children were among the dead. The vessel was bound for the North Shore of Lesvos. 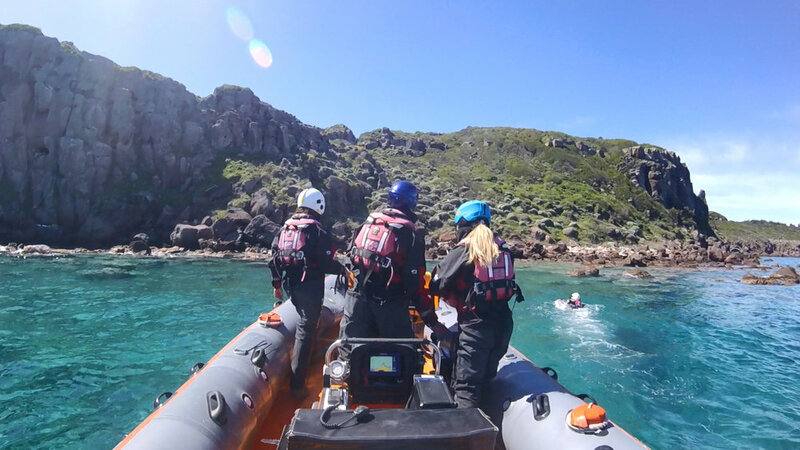 Although the incident occurred well outside Mo Chara’s jurisdiction, it comes just over a year since a dinghy capsized just off the coast of the island as it attempted to make a similar crossing. On April 24th, the anniversary of the shipwreck, Refugee Rescue came together with local NGOs and community members to commemorate the 22 men, women and children who lost their lives. A few of our team in Skala also marked the occasion with a small ceremony at sea. They were joined by both the two women who were rescued and Joelle’s daughter, Victoria, who survived in her mother’s womb. She is now 11 months old. The nature of the situation we face here is unpredictable. Sometimes the number of crossings increase and sometimes we do not meet anyone crossing for weeks. Sometimes we there is so much work to do, we do not sleep for nights on end. And sometimes, when the weather is too rough to launch or new controls are imposed upon us by authorities, we can only wait. These periods of relative calm push Lesvos from hearts and minds, but we remain. Every year we renew the promise to remember those who have died.